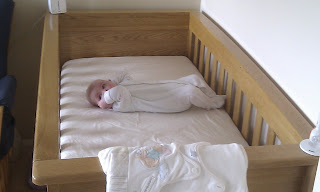 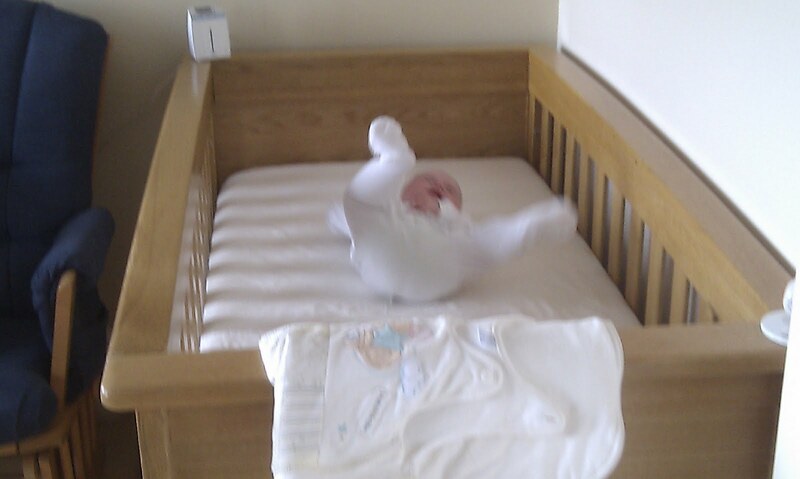 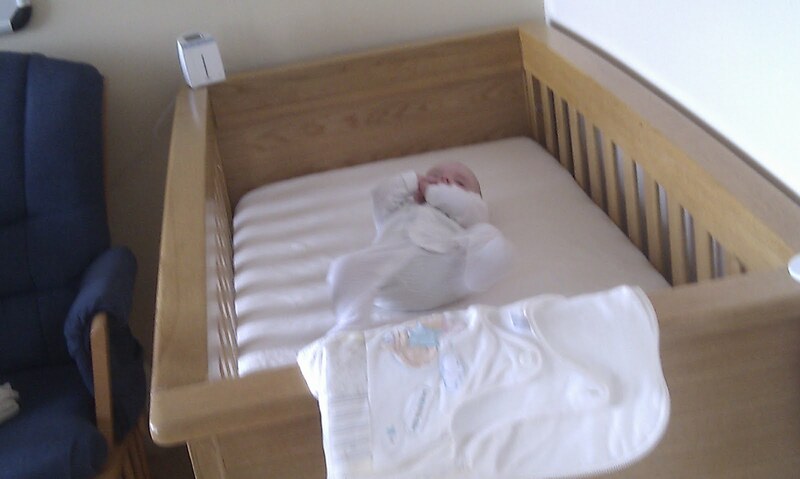 Whilst we were on holiday in France, we actually witnessed Elizabeth turning herself round in her cot. We'd sort of seen it before we left but only the result, not the method. It would appear that Elizabeth pulls her legs up to her chest, throws her weight to the side while kicking her legs back out, pushes on her feet which have found the side of the cot and hey presto, she's turned. 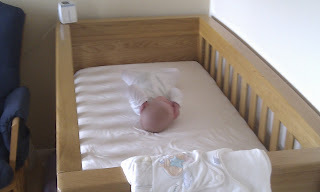 Once we were home I managed to get photographic evidence of her endeavors!